BRUSSELS -- European national consumer agencies plan joint action to seek compensation for Volkswagen drivers who bought emissions-cheating diesel cars on the strength of their green credentials, the European Commission said on Tuesday. At a meeting of the EU's consumer protection authorities in Brussels, Dutch officials agreed to prepare "joint enforcement action" against VW, a spokesman for Europe's Justice Commissioner Vera Jourova said. "Commissioner Jourova encouraged the authorities to use all means at their disposal to protect European consumers," spokesman Christian Wigand said. VW has admitted to U.S. regulators that it installed illicit software in as many as 11 million diesel vehicles sold worldwide -- the majority of them in Europe. Jourova and other EU regulators have repeatedly voiced frustration over VW's failure to compensate customers in Europe, where different legal rules weaken the chances of owners winning a pay out, while the company offers cash payouts to U.S. owners. Despite VW's admission of wrongdoing in the U.S., it says it has not broken the law in Europe and sees no need to compensate consumers there. The carmaker has committed to fixing all affected vehicles by autumn. The 28 are not required to come to a unanimous agreement for joint action. 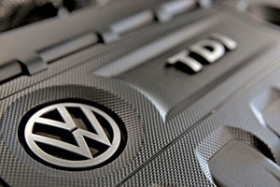 For those who wish to act, the next step would be a joint letter to VW - which may influence current consumer court cases against the German carmaker. "It is a tool to pressure the companies into obeying the rules," one EU official said.